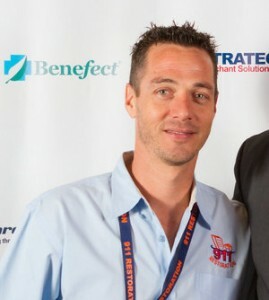 Tomas Lelczuk, owner of 911 Restoration Miami, is who the people of this city think of when they envision a restoration expert that will take care of them and their property every step of the way. 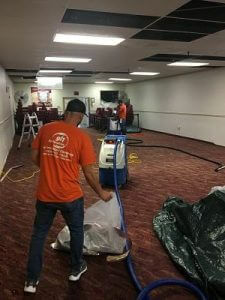 911 Restoration Miami has been leading the industry in the area for more than a decade and that gives Tomas and his expert team all the skills and tools that he needs to solve every form of water damage that he encounters. Tomas has been with the company since the beginning. In fact, he was actually the first franchise branch to open after the headquarters. This means that Tomas embodies the Extra Mile Attitude that makes 911 Restoration the most customer friendly restoration company in the business. With more than a decade of experience, Tomas is the most capable and most trustworthy restoration professional in the state of Florida. Tomas says of his work and the customer attention that he and his crews of professionals bring to every job. If your property is already amid a flooding situation, then contact our water damage restoration team with 911 Restoration Miami for help today! In his efforts to constantly give the people of Miami the information they need to prevent the worst, Tomas has found a number of simple tricks that property owners can use to keep their homes and businesses dry, safe and sound at all times of the year. One thing that Tomas suggests is to always put the AC on 78. This will help to make sure that the dew point of the air isn’t reached. The dew point is the convergence of temperature and barometric pressure at which the air reaches saturation and airborne water vapor turns into droplets on any surface. Avoiding the dew point will drastically help to prevent mold growth around your home. “Fixing small problems today means avoiding big problems tomorrow.” Tomas says. Ultimately Tomas believes that homeowners should call a professional like those with 911 Restoration Miami immediately if they have, or even suspect a problem with water damage or water vapor condensation in their home. One of the most memorable jobs that Tomas has been on as of late was a daycare that had been flooded with category 3 water from a sewage main break. The entire facility was inundated with sewage and the flooding caused huge amounts of water damage in the process. Beyond these initial problems, there was also the issue of sewage sludge that had built up a layer in the crawlspace of the daycare. Normally crawlspaces are large enough to actually crawl in, but this one was too shallow and no one else on the crew could fit into the area besides Tomas. “This was just one of those times when being a leader meant forging a path through a river of sewage and millions of cockroaches crawling all over me,” Tomas says. Tomas makes it a point to provide all of his customers with a five-star experience, but especially so when they were already in crisis-mode even before they had a water damage disaster happen. On one occasion Tomas encountered a customer whose home was flooded everywhere, and at the same time they were having surgery the next day. Tomas didn’t miss a beat, and got straight to work solving the problem and taking the added burden off of the shoulders of the homeowner. Having peace of mind before a major medical emergency is critical to the healing process and Tomas made it a personal goal to ensure that this happened. When the job was all done, the homeowner had the best place ever to recover from the surgery – their own, safe, dry and comfortable home. 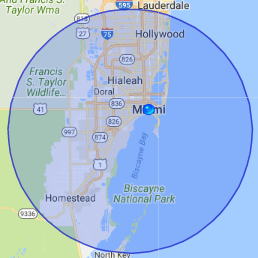 And you should feel free to do the same, because if you’re living in the Miami area and you have any sort of home disaster, Tomas and the water damage restoration experts with 911 Restoration Miami will be there for you today!